Situated in the Terrasses du Larzac sub-district of the Coteaux du Languedoc, Domaine de Malavieille / Mas de Bertrand has been in Mirieille Bertrand’s family for 6 generations. It is an estate steeped in tradition, with dinosaur footprints and Gallo-Roman archeological remains serving as a testament to a long history of the land and its people. The domaine is certified organic and biodynamic. This is a blend of Syrah, Carignan and Mourvedre from the Mas de Bertrand estate in Montpeyroux. Garnet with a purple tinge in the glass. 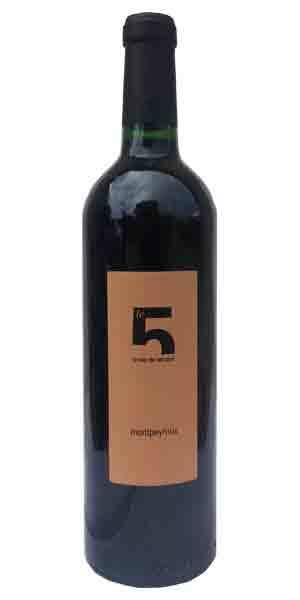 Aromas of raspberry and blackberry mix with warming spices like pepper, cinnamon and clove. There is initially a fresh liveliness on the palate, that gives way to a round, velvety mouthfeel and flavours of pepper, olives, juniper, licorice and an overall balsamic note.